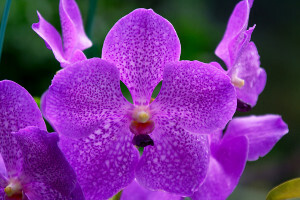 Many orchid growers have a very “laid-back” approach to feeding, and that can result in inconsistent growth and blooming. We believe that a standardized plant feeding regimen can greatly simplify your culture, while improving it at the same time. Depending on who you talk to, you may receive a lot of advice about feeding, with recommendations such as “use only orchid food” or even a specific brand, and “feed at label strength once a month” to “1/4 to 1/2 teaspoon per gallon every two weeks,” to “weekly, weakly” (whatever that means!). My recommendation is to base one’s feeding regimen upon the needs of the plant, and to manage that regimen in terms of nutrient formula, feeding frequency, and nutrient concentration. Choose a formula that is nutritionally complete. That is, one containing all of the macro- and micronutrients. Control your application rate by the amount of nitrogen, letting the other nu trients ‘fall in line” according to the formula. The formula should be appropriate for the plants you grow and your water supply. Avoid very high-nitrogen formulations, as they can be detrimental to flowering. 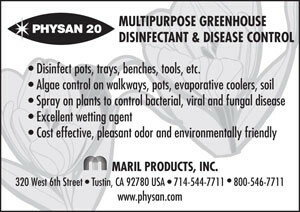 Use one formulation exclusively for at least six months and assess how your plants are doing. If there’s a problem, analyze the potential deficiency based upon the observed symptoms, and seek another formulation. In nature, the plants’ food supply may be meager, but it is more-or-less always present. Plants need a certain amount of nutrition to grow and bloom. Frequent dilute feedings are less risky than a single, highly-concentrated one. From this perspective, we must do something of a “balancing act.” All other conditions being constant, the rate of growth and overall health of a plant is proportional to the nutrients it takes in. Unfortunately, there is a limit to the nutrient application rate, as high concentrations of fertilizer minerals may be detrimental to the plant, or even fatal. There are also some other important factors. Different growing conditions do make a big difference in the plants’ metabolism so also affect our choice of fertilizer concentration. Likewise, the particular types of plants you grow will also affect your decision, as some are just more demanding than others. Then we must not forget that how frequently you water and feed your plants is also part of the equation. Let’s put some numbers to our thinking. If I dump one liter of a nutrient solution of the MSU RO formula at 125 ppm N into a pot, I’m giving it a whopping 350 milligrams of nutrients to work with. Keeping in mind that a huge percentage of that liter pours through the medium and onto the ground (let’s go with 90%), then I have given the plant 35 thousandths of a gram to play with – assuming it absorbs it all! I don’t know how much plant mass 35 mg of “raw materials” translates into, but it probably is related to the growing conditions of an individual plant, and no doubt varies widely among different plants, but suffice it to say that the plant can do no more than the inputs allow. If I water that way 3 times a week, I am giving the plant about 100 mg of basic nutritional “building blocks” to work with weekly. If I cut the concentration in half and water weekly, that’s only 17 mg. Which has the better opportunity to grow larger and bloom? It also makes sense that a plant in active growth needs more nutrition than one that isn’t, so the feeding rate (concentration combined with frequency) ought to be adjusted accordingly. However, my collection is quite varied, so I have different plants in different stages of their growth pattern at different times of the year. I really don’t have the time to tailor the nutrient to each, so I have to go with a “happy medium.” But what – numerically – does that mean? Different plants have different nutritional demand. Vandas, for example, are notorious as “heavy feeders” while phragmipediums are far less so. Researchers at Texas A&M found that in their greenhouses, phalaenopsis grow and bloom the best when fed about 200-250 ppm N from a complete fertilizer. The growing conditions in College Station are better than they are for me here in southeastern Pennsylvania, so I can probably do with less food to go with the lower growth rate. mineral residues from prior feedings. If you live in a brighter, warmer climate, or one with a longer growing season, you may choose to push it to- and possibly through the upper end of that range, while those in less favorable conditions might go the other way. Ray Barkalow has been growing orchids for over 45 years, and owns First Rays, which offers horticultural products to the hobby grower. He may be contacted at raybark@firstrays.com and you can visit his website at FirstRays.com.